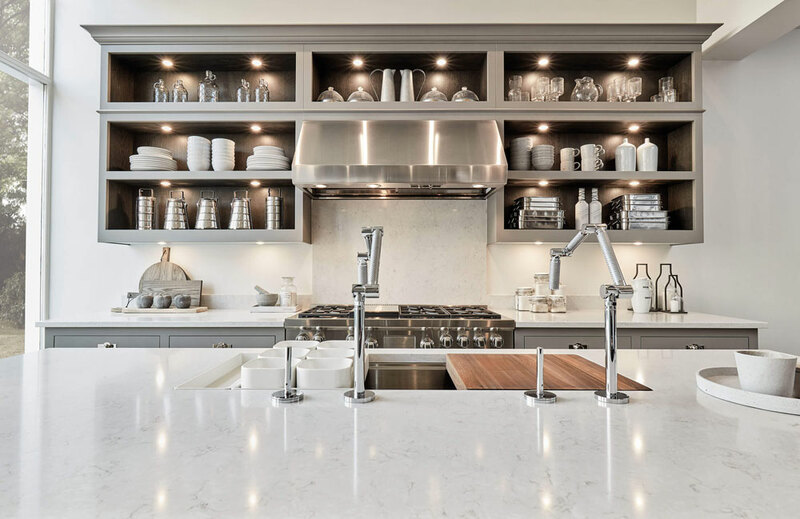 As guests sit around the stunning island centrepiece while you serve appetisers, enjoy the moment in your stunning shaker kitchen. 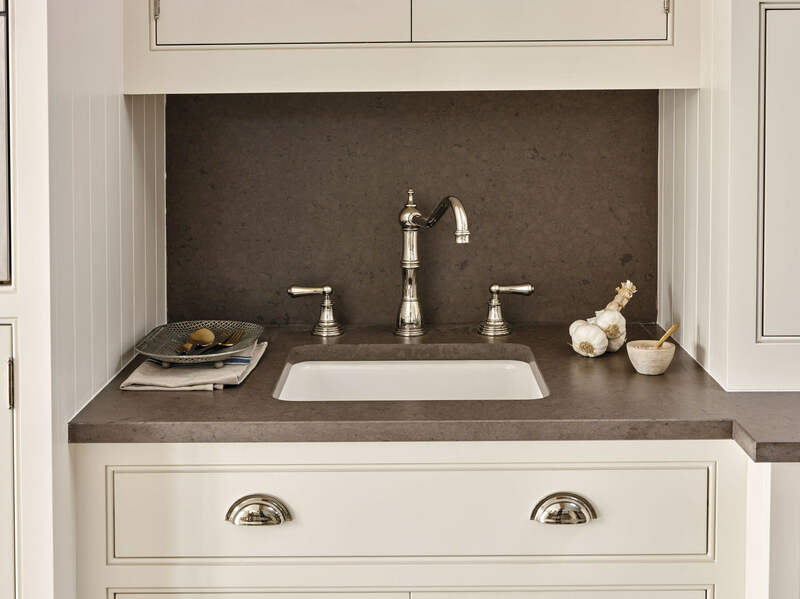 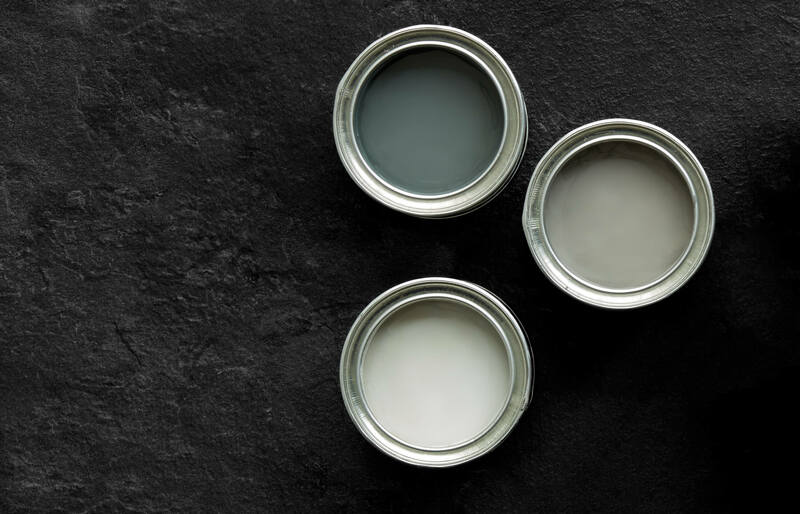 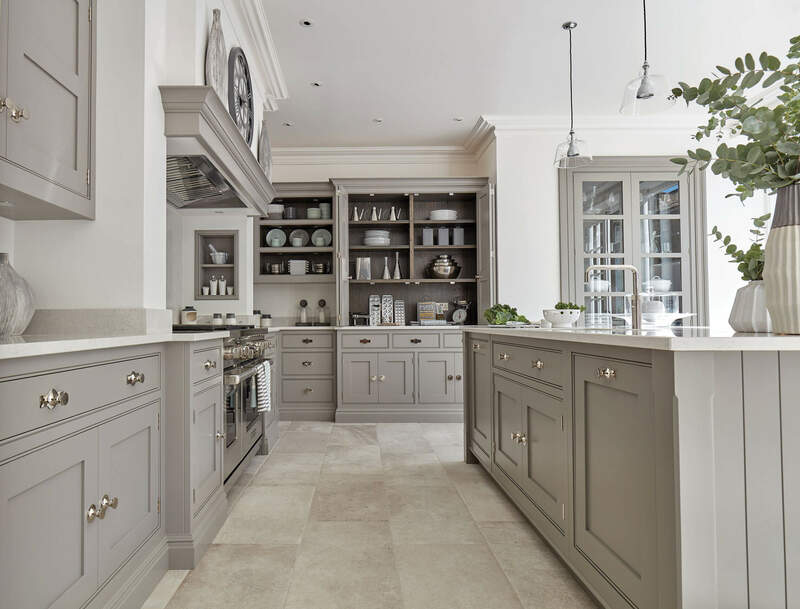 Warm grey tones make this design a relaxed and inviting environment for cooking and a wonderful space for entertaining. 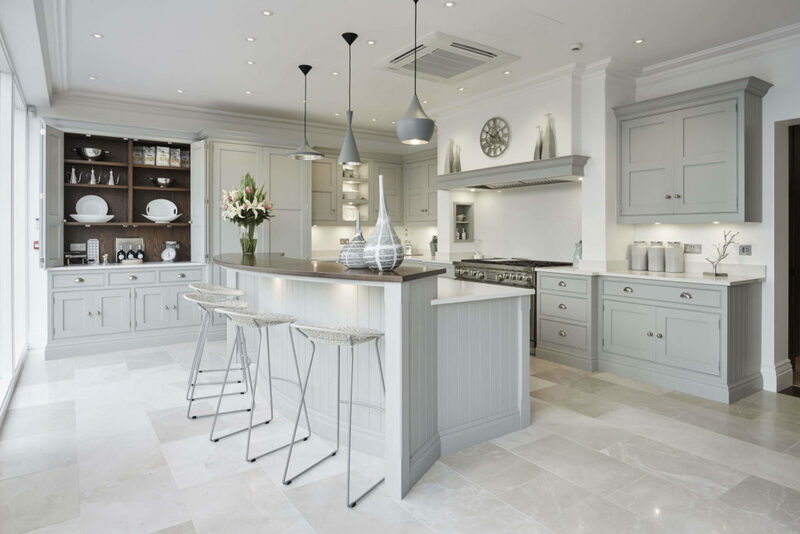 The sweeping island design adds to the sense of occasion. 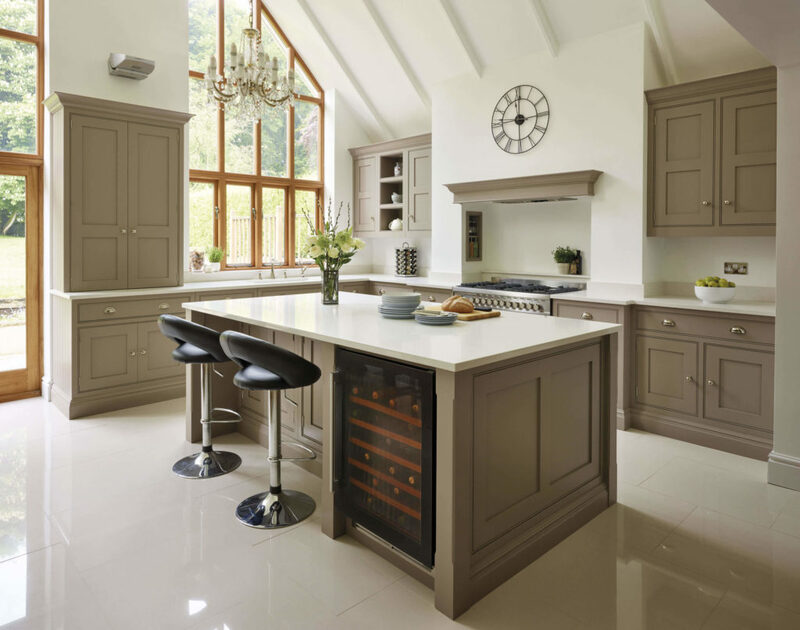 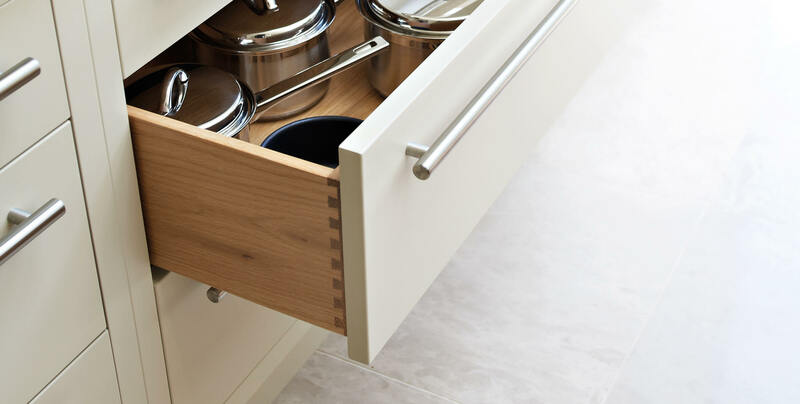 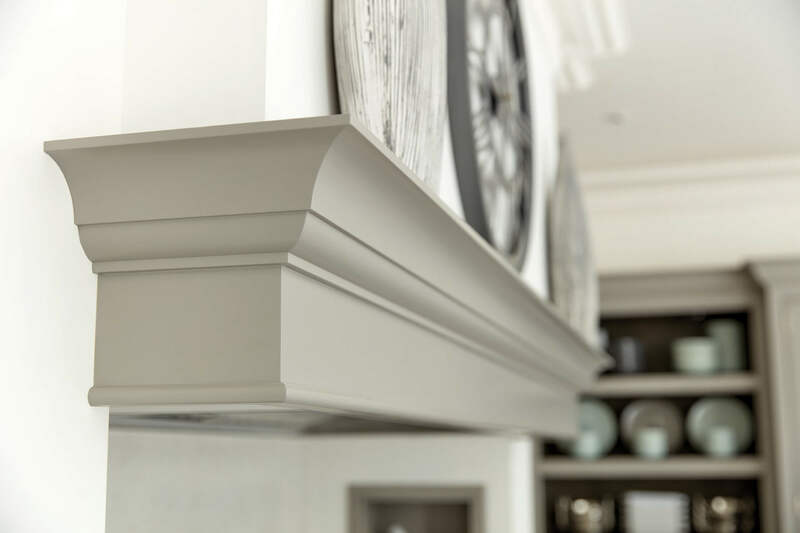 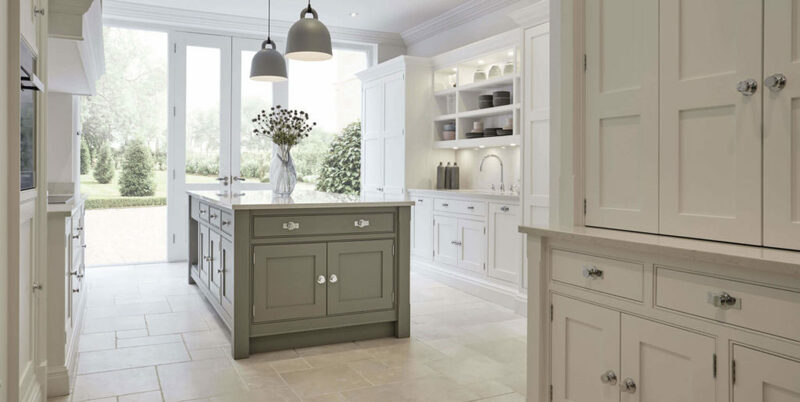 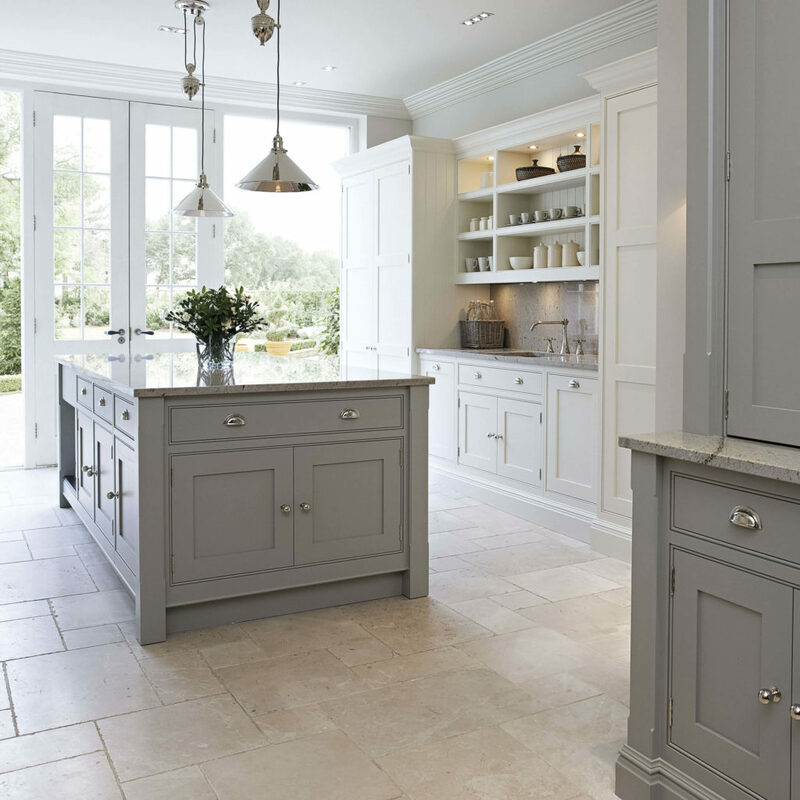 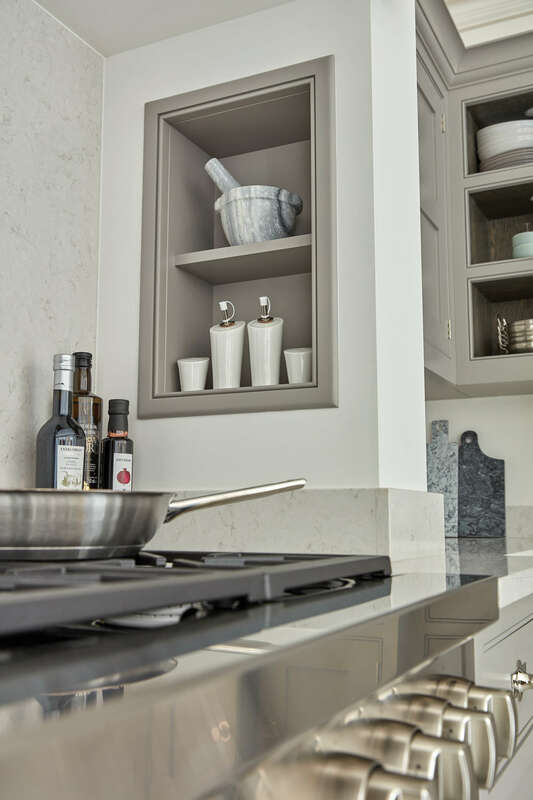 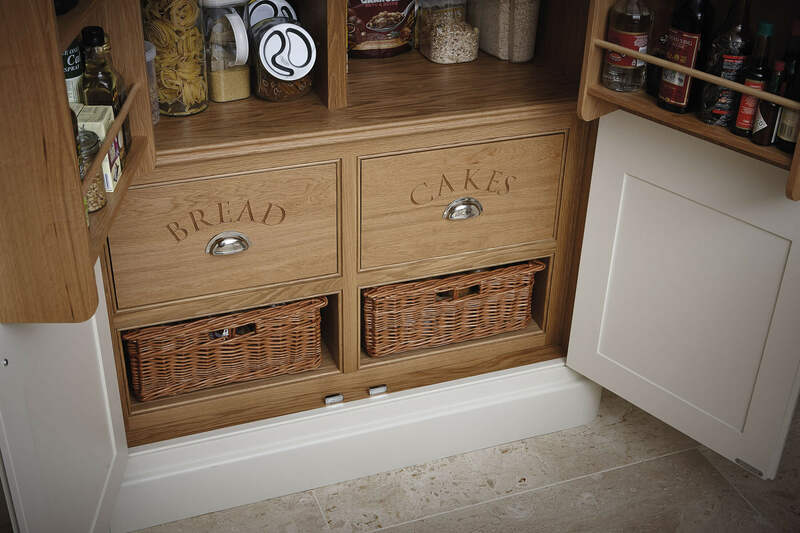 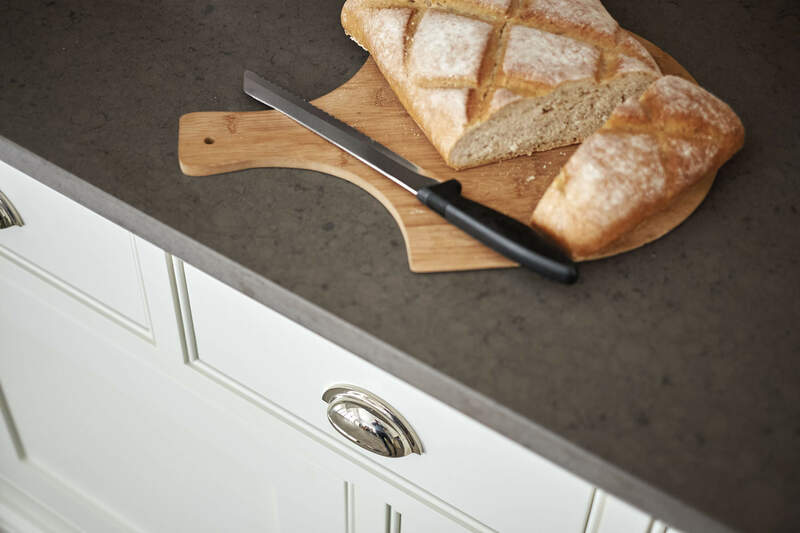 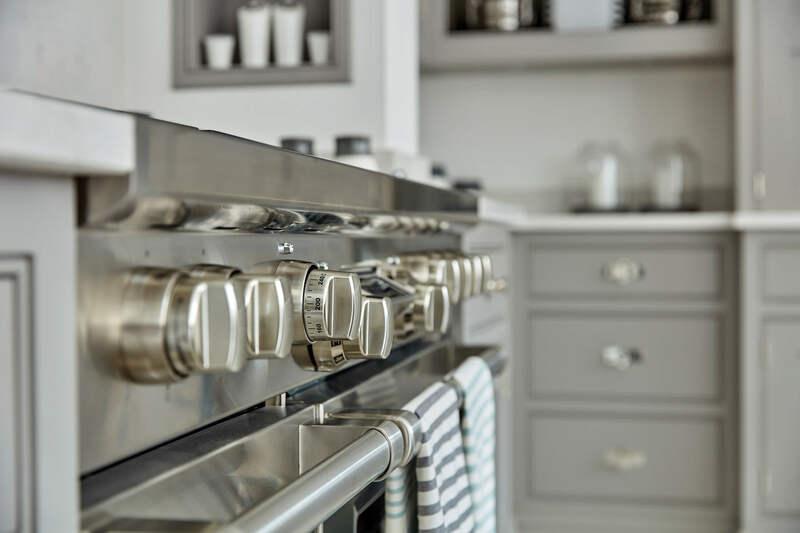 Make your guests feel at ease in a bespoke kitchen designed just for you by one of our expert designers. 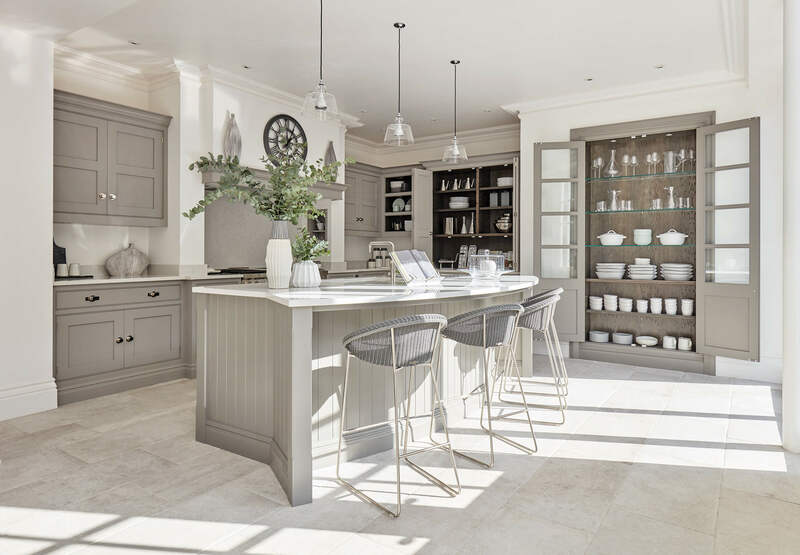 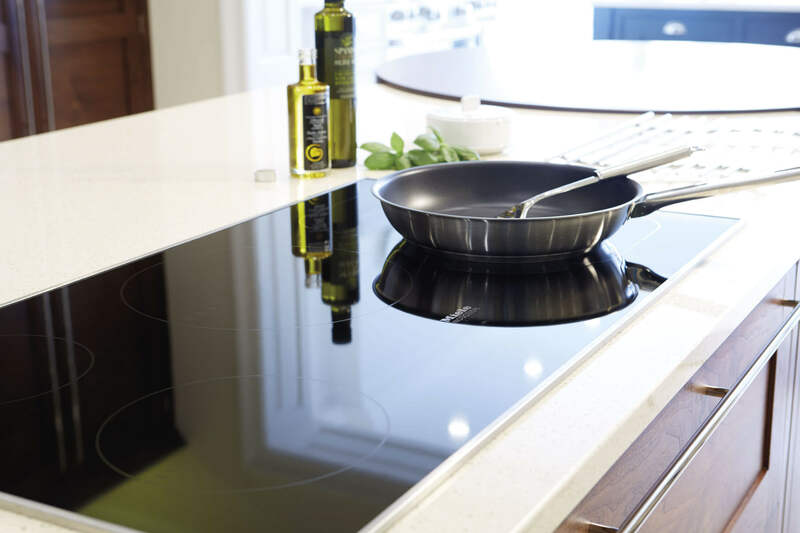 This sweeping island gives you plenty of work surface space to prepare delicious canapés while your guests relax round the curved breakfast bar. 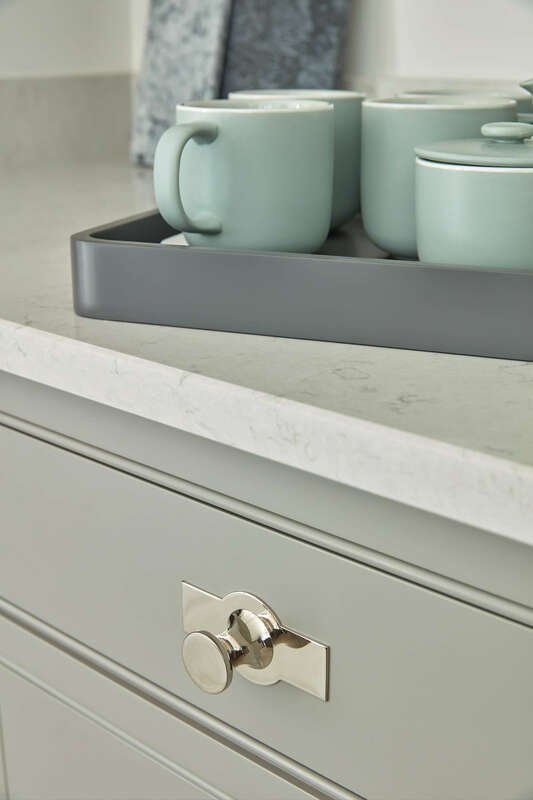 You’ll also find handy, additional sockets for plugging in the latest, cutting edge small appliances. 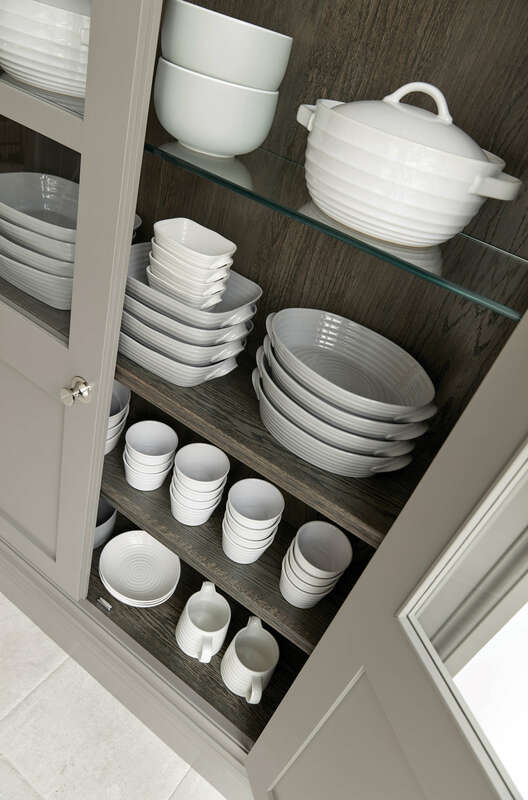 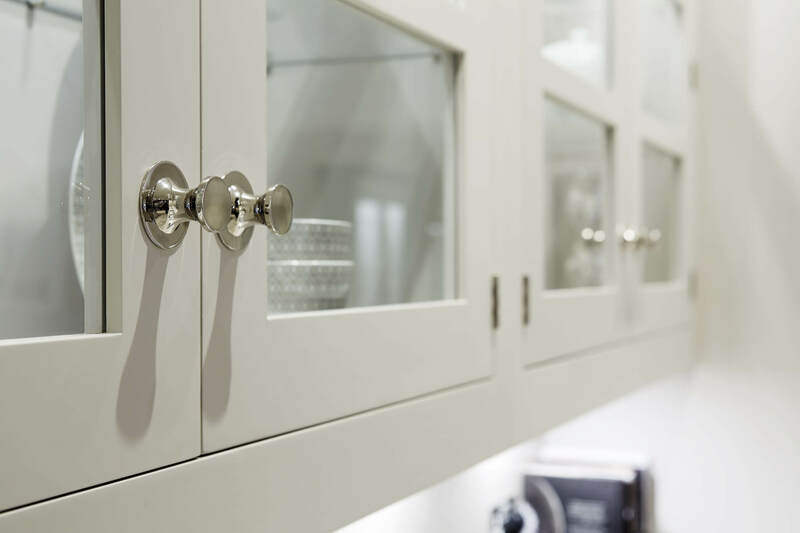 Display your finest china and glassware in a stunning glass-fronted pantry. 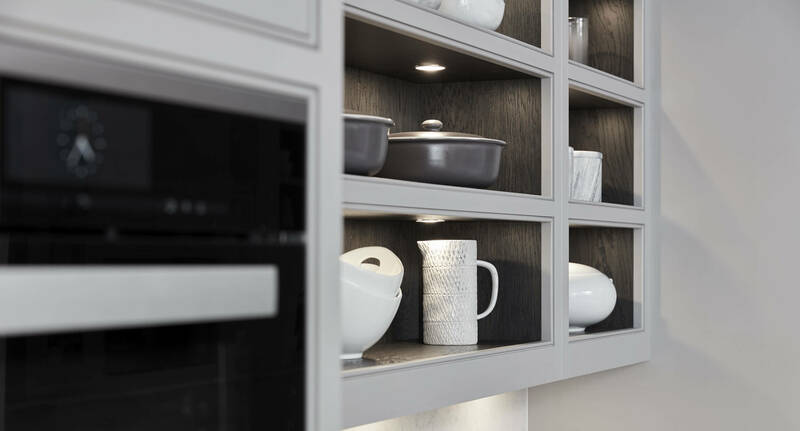 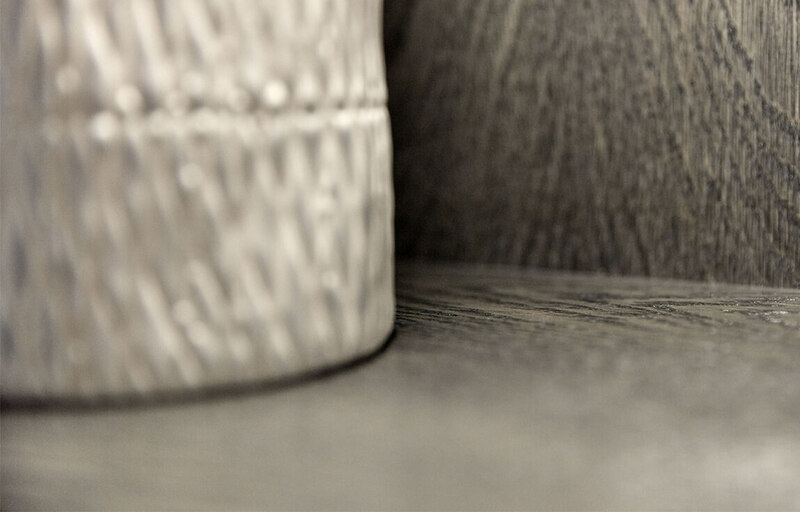 Ensure your most beautiful pieces are always visible and never forgotten, even at night with integrated lighting. 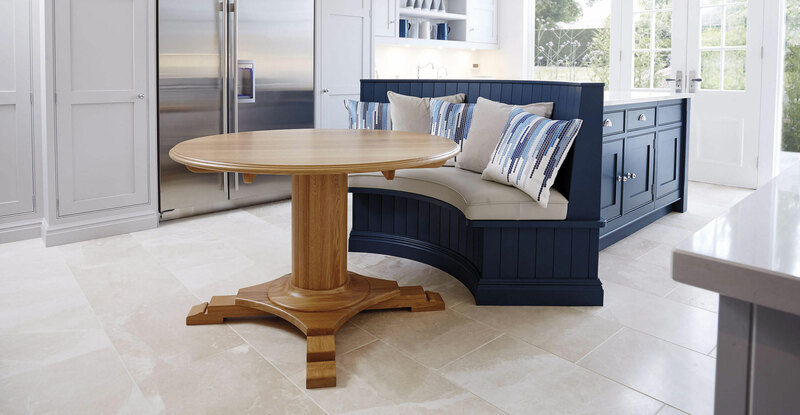 The curved island is without doubt the hero of this design. 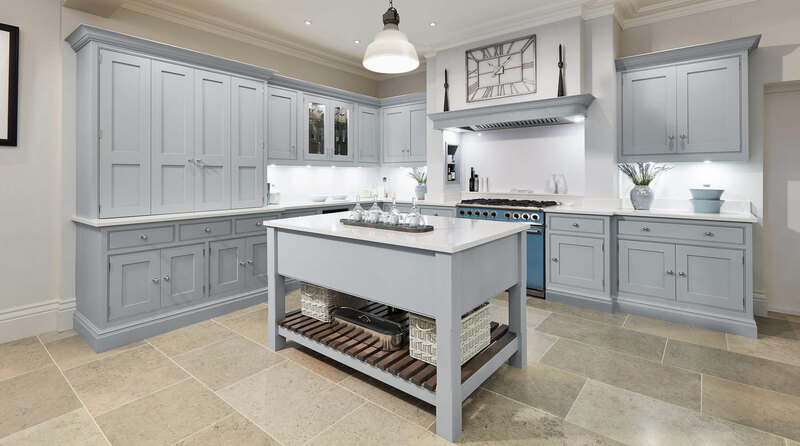 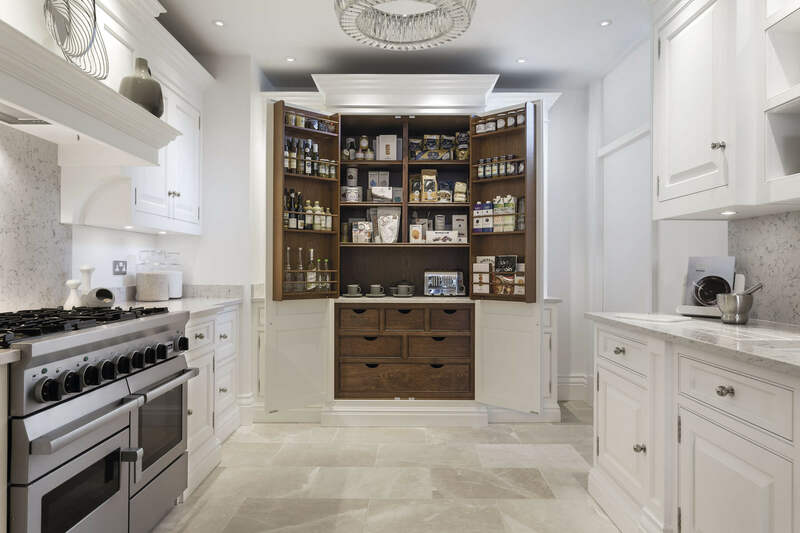 As elegant as it is useful, the proportions and positioning of the island have been carefully considered to create the perfect kitchen for cooking and entertaining.